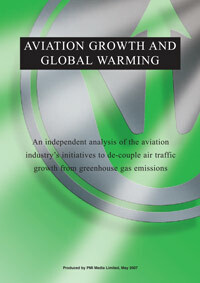 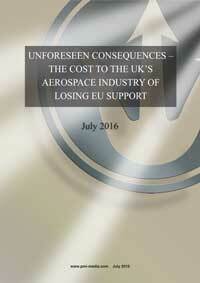 PMI Media produces market analysis reports on a wide number of aerospace manufacturing subjects. 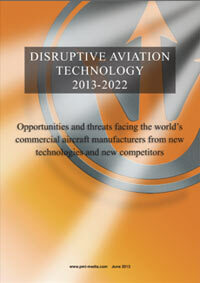 Please feel free to download examples of our work. 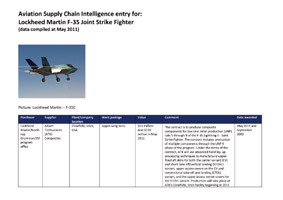 We attach an example from the Aviation Supply Chain Intelligence (AvSCI) database, which outlines our analysis of the supply chain for the Lockheed Martin F-35 Joint Strike Fighter, an example of over 140 fixed and rotary winged aircraft and 100 engines featured within AvSCI. 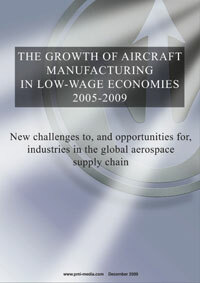 Also available for free downloading is the PMI Media report ‘The growth of aircraft manufacturing in low-wage economies 2005-2009’, first published in January 2010, and a white-paper ‘Disruptive aviation technology 2013-2022’, Opportunities and threats facing the world’s commercial aircraft manufacturers from new technologies and new competitors, published in July 2013.